Ahead of tonight's highly anticipated game against top-ranked Kentucky, Michigan State guard Travis Trice gave us a look at two of the team's custom Nike shoes. 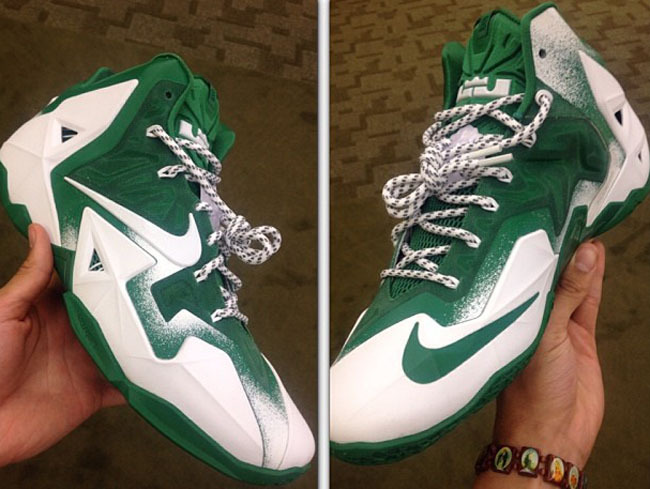 First, the LeBron styled in green with white Hyperposite and 'Forging Iron' trim. 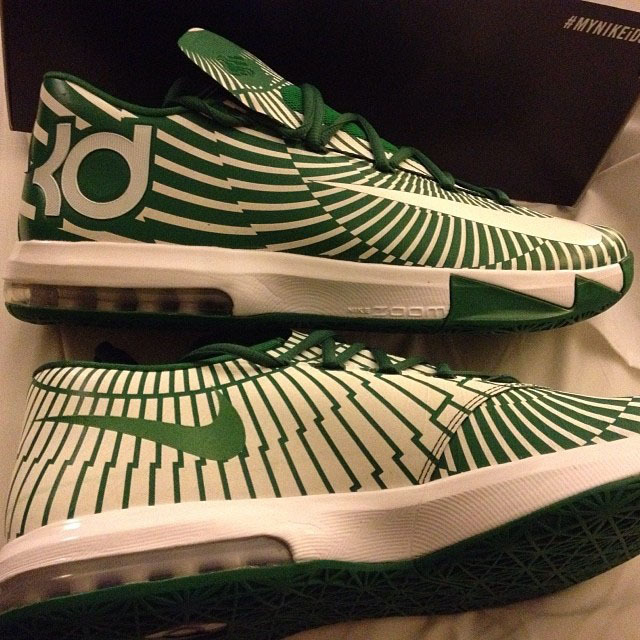 The team also received a green and white 'Precision' make-up of the KD 6. You can see both shoes on the court right now on ESPN. Both the 'Forging Iron' and 'Precision' options are available on NIKEiD, so if you're a fan of the Spartans, you can create your own pair now.